Before dreaming of her wedding dress, many girls first dream of another dress for an important life event... high school PROM! Unfortunately, many students don't have resources to spend hundreds of dollars on a fancy dress they'll wear once or afford hair and make-up makeovers that some of us take for granted. Luckily great organizations like Discovery Communications (TLC network's parent company) exist and go to great lengths to give back to their communities. Through the incredible talent of our friend and fellow DC planner Terri Bergman Events, Karson Butler Events jumped on the opportunity to help with the final stop on the national SAY YES TO THE PROM tour: Los Angeles! A selected group of deserving high school girls from Los Angeles School of Global Studies and Manual Arts Senior High School were chosen by their school to participate in the event designed to build courage and self-confidence among young women. The day included mentoring, prom dress shopping and makeovers. Joyce Azria, Creative Director for BCBGeneration, and Edwina Findley Dickerson, star of OWN: Oprah Winfrey Network’s IF LOVING YOU IS WRONG, also joined as mentors and participated in the fashion show presentation. 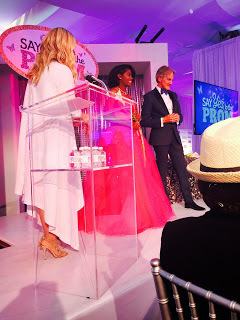 Monte Durham, fashion director and star of TLC’s SAY YES TO THE DRESS: ATLANTA, hosted the big show event, while mentoring the girls whom were each paired with a style assistants throughout the day. 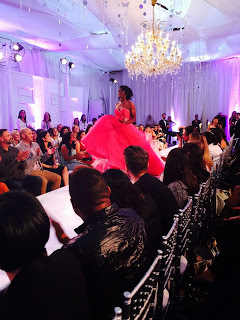 SAY YES TO THE PROM provided a once-in-a-lifetime opportunity to select from nearly 300 dresses (many from host BCBGeneration provided by Creative Director, Joyce Azria.) The event was held at the BCBG Corporate Headquarters in Vernon, Los Angeles, CA and we had the amazing opportunity to work with Terri Bergman Events to completely transform the raw warehouse space/loading dock into an incredible event space. The BCBG employee cafeteria was transformed into mentoring & presentation space, the lower loading dock became a hair & make-up salon, and adjacent tenting allowed us to create fitting rooms and a seamstress/tailoring shop! We even had the chance to work hand in hand with the talented team behind BCBG's creative editorial campaigns... talk about prop closet envy!!! 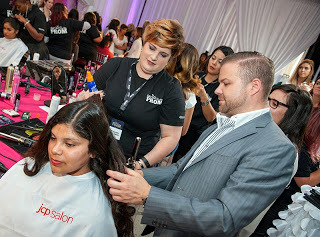 After selecting their dresses and accessories, the girls received hair & make-up makeovers courtesy of JCPenney salon (led by JCPenney Salon Artistic Director, Nick Stenson), Cris Ordaz of Discovery Familia’s GURUS DE BELLEZA, Ruby Makeup Academy and StyleSeat. This incredible team helped the girls get "runway" ready to show off their new prom frocks! In addition to the day’s style sessions, mentoring events and the runway show, First Lady Michelle Obama addressed the students with a special video message, which can be seen in the video clip below! 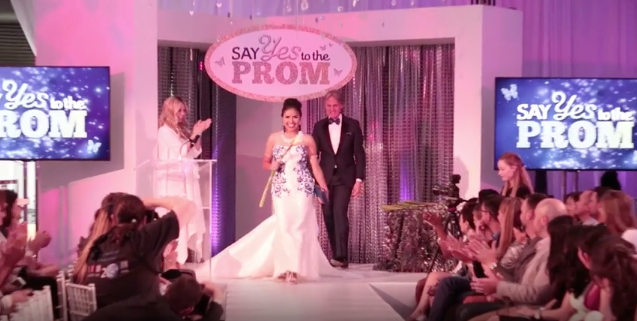 Together with TLC, part of the Discovery Communications family, and BCBGeneration, we were able to celebrate the 4th annual SAY YES TO THE PROM initiative. 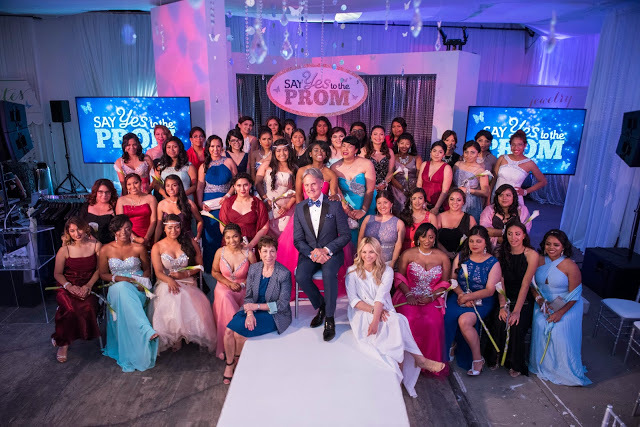 The Los Angeles event marked the final stop on the 2015 SAY YES TO THE PROM tour, which this year has more than doubled the impact of previous years by touching the lives of deserving girls from coast to coast. The tour kicked off in NYC on March 16th and continued with additional events in Denver, Washington, D.C. and Miami before making its way to Los Angeles. We are so proud to be a part of this incredible event alongside the other talented LA vendor team: DIRECTV, StyleSeat, Ruby Makeup Academy,Terri Bergman Events,Chicka Event Design, GoTo Media, Town and Country Event Rental,City Kitchen Catering and Fine Foods, Vox DJ’s, Vox Productions, Precious and Blooming Floral Design, Karson Butler Events and zTailors. 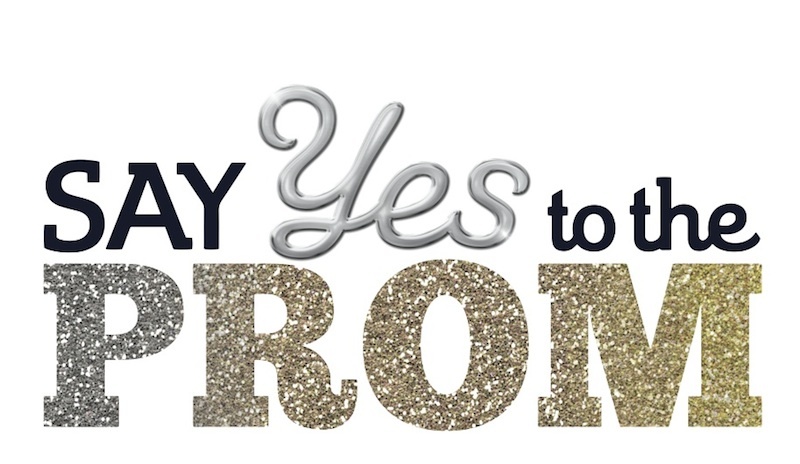 Click on the video below to see more from the SAY YES TO THE PROM national tour! *Pictures & reporting coverage via The Stylist Handbook original post seen here, and video via TLC/Discovery Communications website.